Gold and platinum are both, as we call them - “precious metals”. Rarity can be one of the reasons for these metals being called precious, although properties like malleability, ductility, lustrous and corrosion resistance make them worth of this title. Both are transition elements lying in period six of the periodic table. History witnessed gold as the symbol of wealth and prestige. 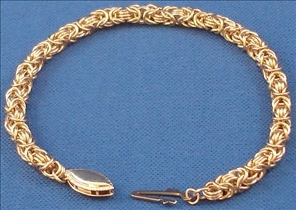 Both gold and platinum are used in jewellery. Other applications are dentistry, electrical contacts, catalytic converters and many more. Gold is even used in the field of medicine: as some of its salts have anti inflammatory property, and hence are used to treat arthritis. Now let us look at some basic differences between these two metals. Platinum has a silver-white color. It resists oxidation even at high temperatures and hence is corrosion resistant. It is malleable that is can be beaten into sheets and ductile that is can be drawn into wires. Even gold has above mentioned properties but much more than platinum; in fact, gold is the most malleable metal known. It can even be beaten into translucent sheets that reflect yellow and red light and hence the transmitted light has a blue color. Gold reflects infra red rays which increases its industrial applications. Platinum is found in both native as well as compound states. It forms sulphide, arsenide, antimonides and alloys with copper and nickel. Major deposits of platinum are observed in Columbia, Ural Mountains Russia, Ontario Canada, South Africa and Montana. It is interesting to note that Moon’s crust has abundant platinum. Gold is found in native state as grains or even large nuggets in the alluvial deposits. In combined form it occurs in alloys with copper, lead and mercury. Johannesburg in South Africa has largest gold deposits. Australia, Russia, United States, and Peru are among the other major producers of gold. Major part of platinum extracted is used in the manufacturing of emission control devices for automobiles. Jewellery, electronics and chemical industry (as catalyst) are other major applications. Platinum is also used in spark plugs, anti-cancer drugs and turbine engines. Gold has a number of applications in various spheres viz. Electronics, industry, food and drink, jewellery, medicine, investment, monetary exchange and so on. F1 model of McLaren has gold foil in it’s engine compartment. Gold has application in photography, dentistry, and in IR protective layers in astronauts’ helmets and suits. 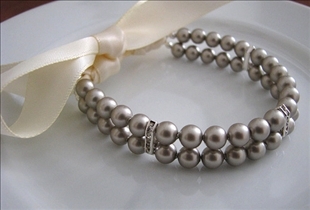 Has a silvery white color. Often mistaken to be silver. Malleable, ductile, lustrous, and shows resistance against corrosion. Found as sulphide, arsenide, and antimonide; forms alloys with copper and nickel. Found in Columbia, Canada, Russia, Montana and South Africa. Used in emission control devices, jewellery, electronics, chemical industry, anti cancer drugs and many other minor spheres. Has a shining yellow color. Found as grains and nuggets in native state and in alloy forms with copper lead and mercury. Johannesburg in South Africa has largest gold deposits. Gold has number of applications in Electronics, industry, food and drink, jewellery, medicine, investment and monetary exchange. Which precious metal is most coveted?